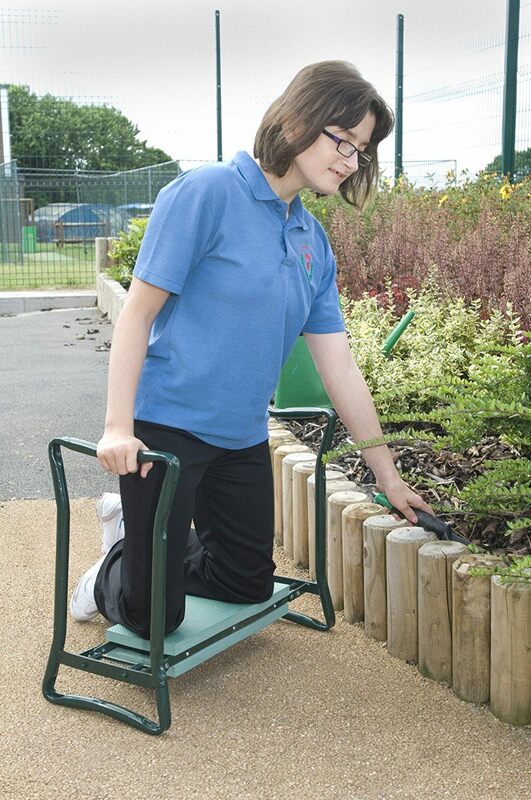 In this article we look at garden kneelers that can also be used as a seat. In other words, they serve both purposes. In the sitting position you have a comfortable seat, and when reversed, you kneel on a foam pad, and can use the seat legs, to help pull you back up to an upright position. 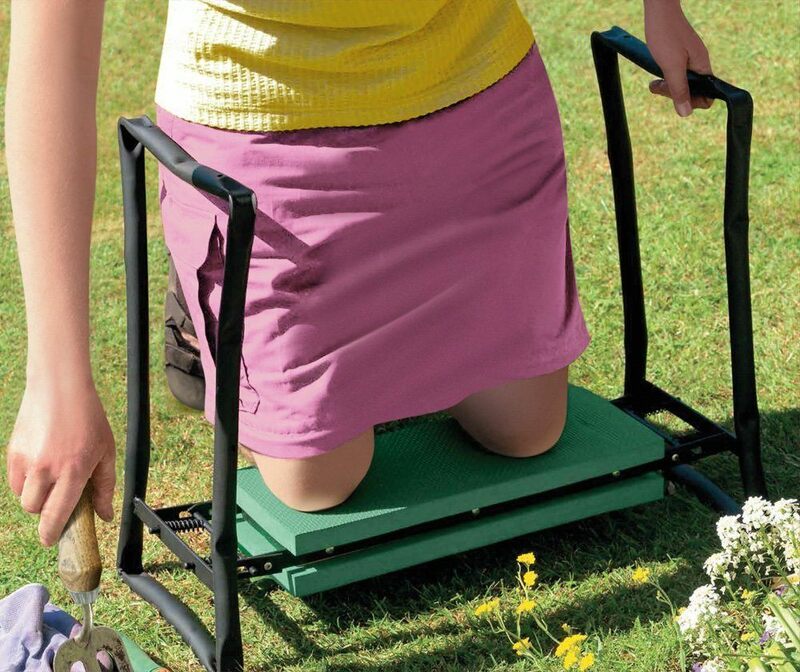 You can buy just a simple kneeler, or some type of kneeling pad, but why bother when you can have that, and also a seat at the same time.​ The price difference is not that big, and a seat is always a handy thing to have around a busy garden. Below we look at the top rated kneeler and seat combinations, currently available in the UK market. There are plenty of these to pick from. Below I have included what I believe to be three of the best. This one costs around £15, and it gets the highest satisfaction rate by actual buyers. It is a very well made product, and uses steel tubular framing. It is strong and the seat can support a weight of up to 23 stones. Makes a great gardening gift idea for a parent, or indeed for anyone who enjoys working in the garden. 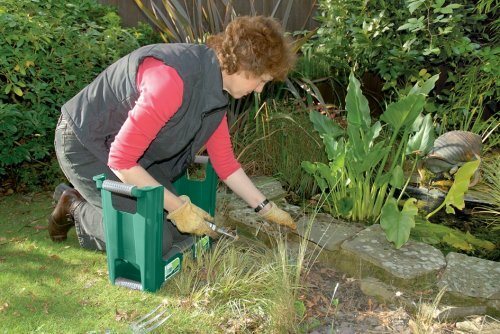 This one is cheaper and costs around £10, and it also gets a high rating of 4.7 out of 5 stars, from actual buyers who have bought and used this kneeler. This model is a very big seller, and that is because it combines high quality, with an affordable £10 price tag. This model is also a very popular choice for many buyers. It is not rated as high as the two above though. That said, you do have the benefit of the extra storage. Hopefully you have found the above information useful and helpful. The most important thing is always to stay safe. That applies as much to these as to any other area of life. Some of these products that are on sale of this type, are cheap and poorly made. Avoid those at all costs, otherwise you could have a nasty fall, or an injury of some kind. The ones that I have listed above, get overall very high ratings from satisfied buyers. At least that way, you know they have been tried and tested​. You also know that they are good quality and safe to use in your garden, greenhouse or yard.